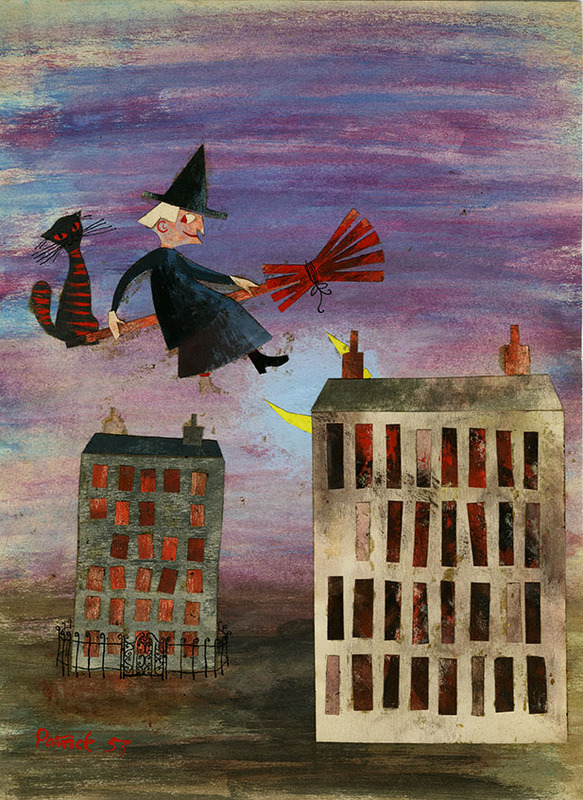 We love this 1953 Halloween collage by Cordelia Oliver (née Patrick) of a witch on a broomstick, complete with her cat along for the ride (DC 066/3/2/2/2). This comes from a collection of her commercial works including illustrations for magazines, catalogues and newspapers. No self-respecting witch should be without a spooky spider for Halloween, and this beautiful spider’s web is by Joan Palmer from 1981 (NMC/886). 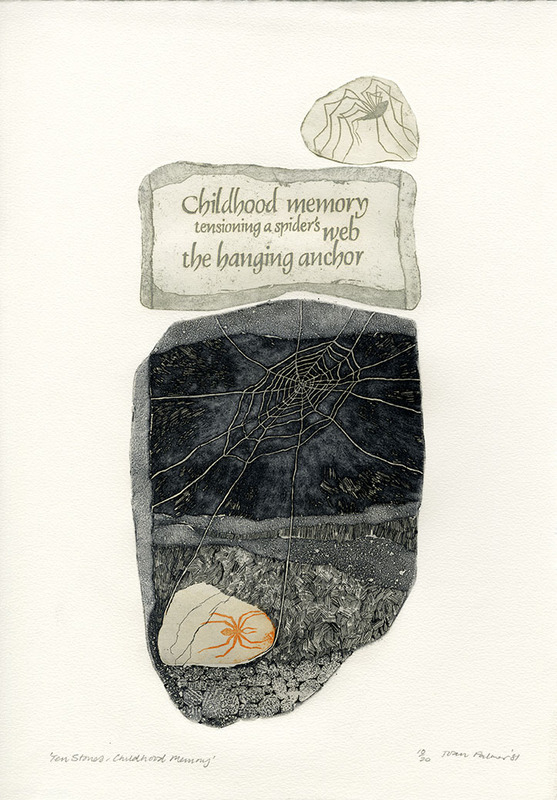 Entitled ‘Ten Stones – Childhood Memory’, it is an etching and ink on paper. 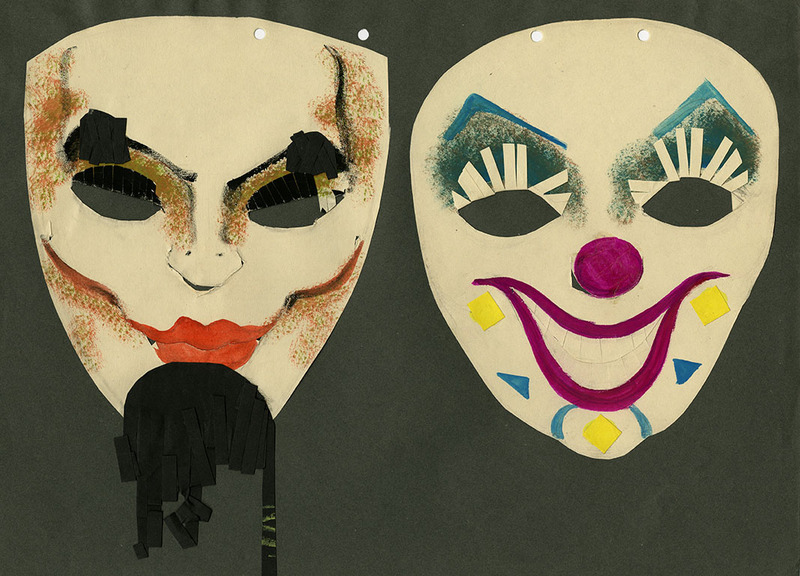 For those of you going out guising or trick-or-treating tonight, we hope your costume is as scary as these masks by Dorothy Campbell Smith (DC 076/3)! 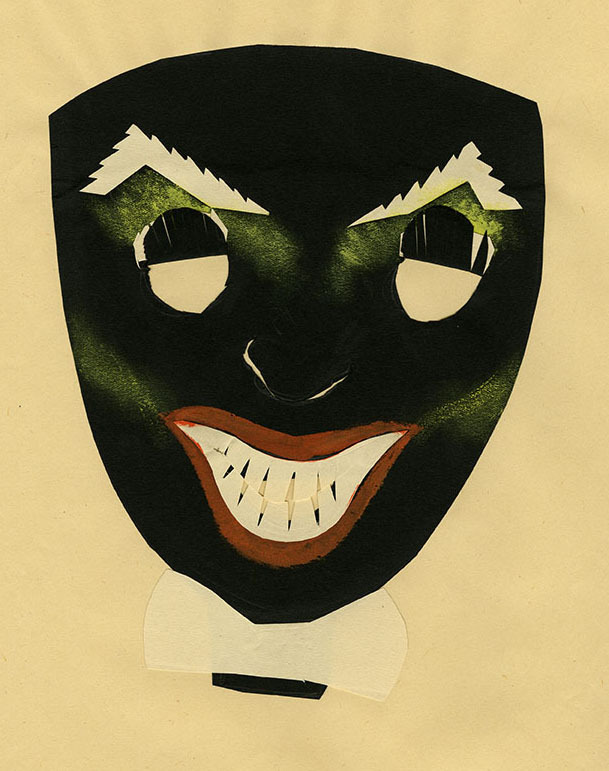 These examples of paper cut work come from her material covering infant to secondary stages of teaching in the mid 1940s, and may have been produced for her teacher training course at Jordanhill College. We hope you’ve enjoyed our spook-tacular and scary Halloween images, hopefully they will put you in a frightful mood for celebrating tonight! If you would like to see these or any other items in our collection, please contact us at archives@gsa.ac.uk to make an appointment for our reading room.